Fife has become something of a hotbed for Scotch whisky distilling in recent years, with the historic Cameronbridge Distillery (1824) being joined by Daftmill (2005), Leven (2008), Eden Mill (2012, distilling began 2014), Kingsbarns (2014), Inchdairnie (2016) and Lindores Abbey (2017), with a micro distillery at Bowhouse, founded by former Bacardi malts brand director Stephen Marshall, planned to come into production later this year. Whisky fans have waited eagerly for the chance to taste the spirits running from these new stills and, like those standing patiently at the proverbial bus stop, many bottlings seem to have turned up almost at once. May 2018 saw the first releases of single malt from both Daftmill and Eden Mill, then came the release of New Make Spirit from Lindores, which was first available only to Preservation Society members and then opened up for public sale. 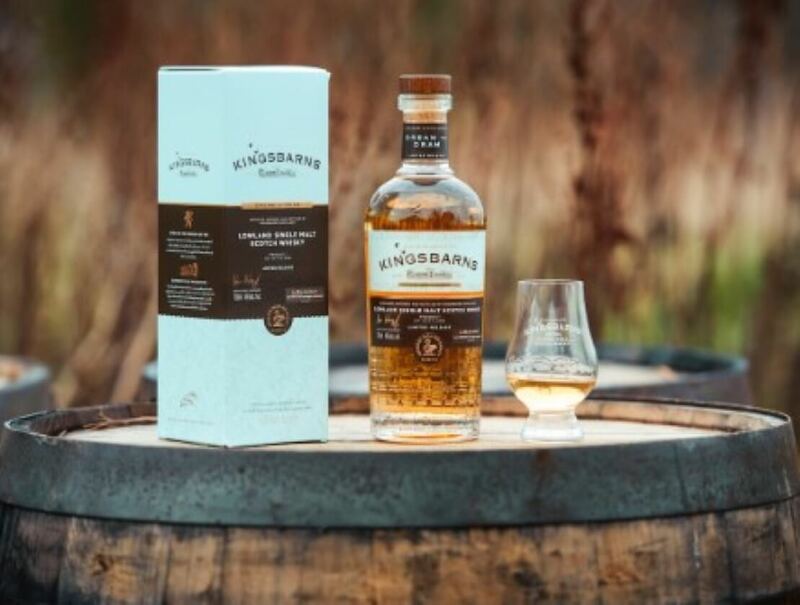 Kingsbarns Distillery announced the release of its first single malt in August 2018, but this bottling – matured exclusively in first fill Bourbon barrels and bottled at cask strength and without chill filtration – was only available to its Founders’ Club members. It was the first of five planned annual Founders’ Club bottlings, each of which will showcase the effects of maturation in different cask types. However, February 2019 marked the release of the distillery’s first single malt whisky available for general sale: The Kingsbarns Dream to Dram. Unsurprisingly, for whisky aged only 40 or so months, much of the distillery’s fresh and attractive new make character shines through on both the nose and palate. Perhaps more surprisingly, when one compares this bottling to many of the other releases coming out of new distilleries, the Kingsbarns team have not given in to the temptation of imbuing their new spirit with as much wood character as possible in an attempt to give the impression of more years in cask. 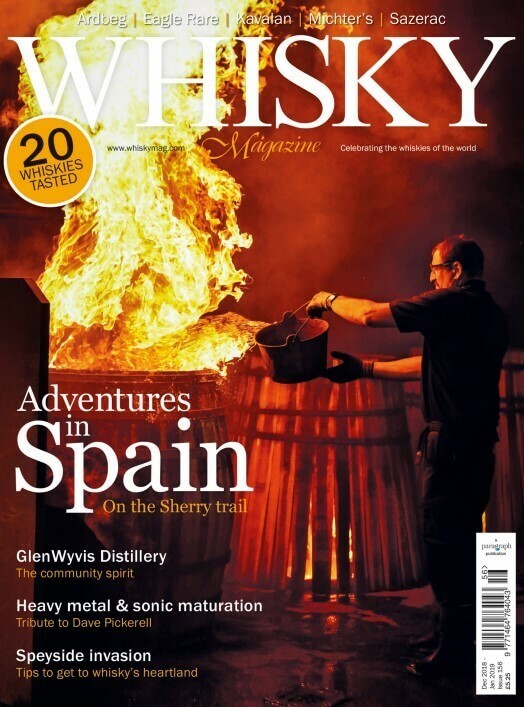 Instead, the Dream to Dram has been carefully crafted to balance the distillery’s spirit character with the influence of first fill bourbon barrels from Heaven Hill, which make up 90 per cent of the vatting, and shaved, toasted and re-charred (STR) Portuguese red wine barriques, which make up the remaining 10 per cent. Of course, the choice by Isabella Wemyss, co-founder and director of production at Kingsbarns and Wemyss Malts, to use a relatively light hand when it came to wood influence was not the result of a lucky guess. From the earliest days of planning the distillery with the late whisky consultant Dr Jim Swan and consulting engineer Ian Palmer (of Inchdairnie Distillery), the Wemyss family owners were aiming for a well-balanced, fruity and floral Lowland style that would lend itself to this approach to maturation. However, the responsibility of realising that ambitious vision fell to distillery manager Peter Holroyd. A graduate of the famed Brewing & Distilling course at Edinburgh’s Heriot-Watt University, Peter was head brewer at Strathaven Ales for four years before joining the nascent Kingsbarns Distillery in April 2014 and assisting with the plant setup before filling the first spirit into cask in March 2015. 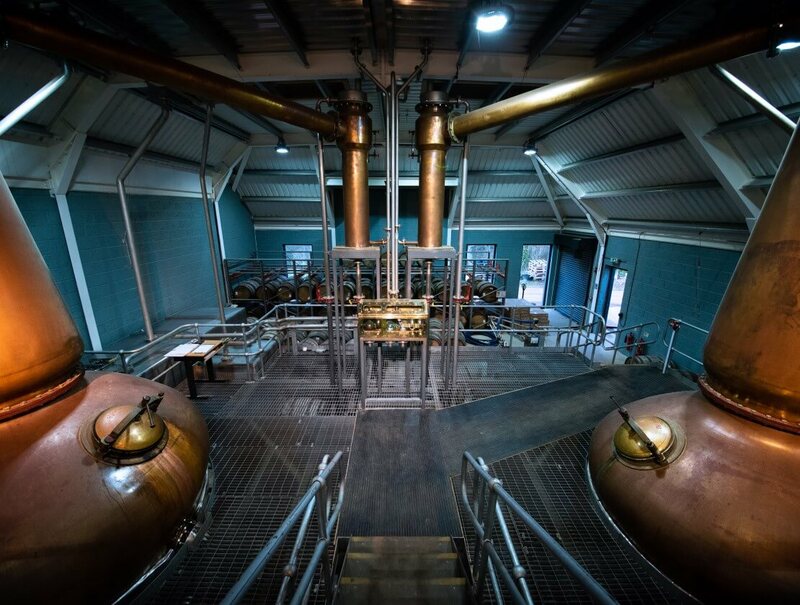 “We knew what we were wanting to achieve, so every aspect of what we were doing in terms of engineering, process, ingredients and how we run the stills was built around trying to hit that style of spirit,” explains Peter. Water is sourced from a borehole that taps into an aquifer beneath the distillery and all of the barley used is sourced from Fife. Due to logistical constraints, the barley does have to be taken out of the county to be malted at Muntons, though regional provenance is preserved by processing the grain in ring-fenced batches to ensure it is not contaminated with non-Fife barley. Next, on the advice of Dr Swan, two yeast strains are used to create the desired wash character – Anchor and Lesaffre Fermentis. “Anchor is an old stalwart. People have been using it in distilleries for decades, and for good reason: it’s got a good flavour profile and is highly attenuating. The yeast does the work well. It produces ethanol and eats sugars efficiently giving you good flavour congeners and nice, round, well-balanced new-make character,” says Peter. Next comes distillation, which is a slow affair that has been designed to promote reflux at each stage. Peter is particularly thankful that, though the mashing side of the production process is semi-automated, the spirit side is fully manual. “To have the human touch on the distillation side is an important aspect,” he adds. What’s more, in order to further preserve the distillery’s spirit character, around 200-250 litres are always left in the low wines, foreshots and feints receiver, which is not emptied or flushed out as part of the weekly plant cleaning. “The low wines and feints tank is your distillery DNA,” says Peter. With so much time and care spent on creating and preserving the DNA of this light and fruity Lowland spirit, the Dream to Dram is clearly indicative of what will become the core house style of this Fife distillery. Indeed, Kingsbarns’ wood policy very closely follows the proportions used to craft this first release and around 85 per cent of all spirit is filled into first-fill Bourbon barrels. Much of the remainder is made up of the aforementioned STR casks, though both sherry and refill ex-Islay casks are also being filled on site. When, or if, bottlings will appear that demonstrate the effects of these casks on Kingsbarns spirit, however, remains to be seen. Though, with four more annual Founders’ Club bottlings still to come between now and 2022, one would do well to look there first for an indication of things to come.